As a restroom stall becomes occupied, a motion sensor activates a field-recording of the sounds of nature as heard inside an out-of-commission rural outhouse. 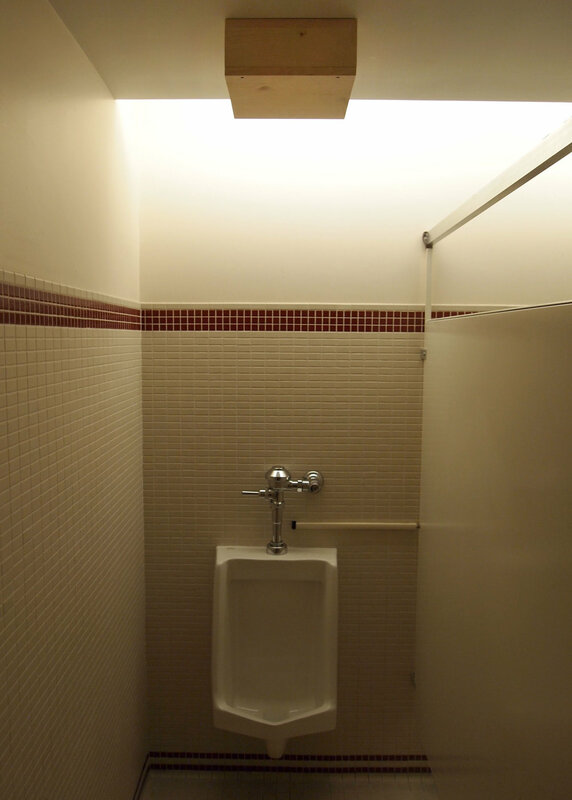 The field-recording is twenty-four hours in length and is coordinated with the time of day a person enters the stall. Subtle musical moments emerge from the field-recordings to “enhance” or “maximize” the recording’s intended simulation of nature. These interjections leave the listener to wonder what sounds are real and what is there by intention or design. Outdoor Inhouse engages the controlled, plastic quality of contemporary elimination and it’s isolation from natural environments, while referencing a recently abandoned architectural staple of daily life prior to indoor plumbing.